The last week in February took a turn for the worse for Bitcoiners as ailing exchange Mt. Gox finally closed its doors, leaving its customers with scant idea as to when (or whether) they might be able to recover their funds. Media outlets worldwide pounced on the news, prematurely taking the opportunity to declare the end of Bitcoin. Following the usual pattern, the hysteria prompted yet another round of denunciations, warnings and dire predictions that “Bitcoin is nothing more than a scam!” and users should “get out while [they] can!” Meanwhile, other exchanges and trading platforms worldwide continued their orderly conduct of business and the price of one bitcoin remained relatively stable at around $600. PUBLIC SERVICE ANNOUNCEMENT FOR US TAXPAYERS: If you had a wallet with Mt. Gox during 2013, and if at any time during the year the account value exceeded $10,000, you should strongly consider filing a foreign bank account disclosure form – called a 90.22.1 form (also known as an FBAR). The US Department of Justice has subpoenaed Mt. Gox’s records. While the focus of the investigation will be on potential criminal activity, it isn’t a stretch to think that the government might take a detour to see who is following the rules and who is not. United States Democratic Senator Joe Manchin submitted a letter to US federal regulators asking for an outright ban on Bitcoin in that country. The Senator’s letter, which could charitably be assessed as “ill-informed”, or less charitably as ignorant and authoritarian, highlights Bitcoin’s volatility and lack of central control as threats to consumers and seems to have been timed to coincide with the fall of Mt. Gox. It had no co-authors, though other US lawmakers (notably New York Democratic Senator Charles Schumer) have frequently spoken out against Bitcoin in the past. In his letter, Senator Manchin asked regulators for a ban for a variety of reasons, but offered no explanation concerning the legal basis for his request or a proposed mechanism for its implementation. Manchin is one of the Senate’s most junior members, having only been elected for the first time in 2010, and has also developed a reputation as one of its most bipartisan. The Bitcoin Foundation issued an open letter in response to Senator Manchin, highlighting Bitcoin’s many virtues and the willingness of the Bitcoin community to cooperate with legislative fact-finding in the recent past. The Foundation also asked Manchin not to discourage innovation by advocating untimely or ill-conceived regulatory action. In what amounts to a quit-claim declaration on regulation, US Federal Reserve chairwoman Janet Yellentestified before the Senate Banking Committee that the central bank lacks the authority at present to regulate Bitcoin “in any way.” Though her comment may be true in a direct sense, it seems disingenuous to claim that the Fed is powerless to act “in any way.” As one of the primary regulators of the US banking system (the Fed has overlapping jurisdiction with the US Treasury, the Office of the Comptroller of the Currency, the Consumer Financial Protection Bureau, state banking agencies and a number of smaller agencies) the Fed undoubtedly possesses the ability to influence Bitcoin by governing the points at which it comes into contact with financial institutions. The Federal Reserve has largely kept silent about crypto currency issues since Yellen took her seat as chairwoman of the Federal Reserve’s Board of Governors last October. While it would likely be premature to interpret her stance as a show of support, either implicitly or explicitly, it could be an indication that the Fed is willing to take a “wait and see” approach on Bitcoin. The Australian government publicly disclosed that it has the ability totrack conversions from Bitcoin into Australian dollars. First reported by technology publication ZDNet, John Schmidt, CEO of Austrac (the Australian government’s financial crimes tracking service), nonchalantly admitted in testimony before a committee of the Australian parliament that his organization uses a variety of intelligence sources to identify and monitor Bitcoin transactions and has already used the information as a resource in criminal prosecutions of money launderers. 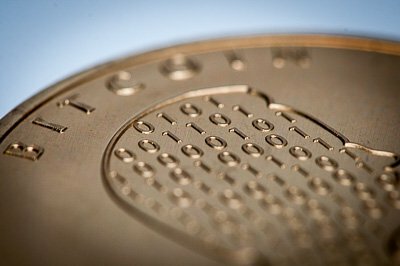 Though Australia is the only nation to have publicly acknowledged Bitcoin tracking, other nations are likely to also track citizens’ use of crypto currencies to varying degrees. “Bitcoin is not illegal,” according to an unnamedsource at the Central Bank of Cyprus. This comes as no surprise, as Cyprus has long been considered a favorable country by those looking to launder or hide money and Bitcoin provides a handy vector by which illicit funds can be safely moved in or out. The Mediterranean country has struggled in recent years with staggering debt and unemployment levels left over from the 2008-2009 financial crisis. The volume of foreign-owned assets held in the country prompted its government to declare a one-time levy (AKA theft) on deposits held in Cypriot banks in 2013. Cyprus’ wealth tax is just the kind of government overreach that has made Bitcoin very popular among crypto enthusiasts. 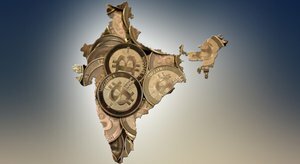 India Under Bitcoin Regulation? Or Not?